SIGNiX. 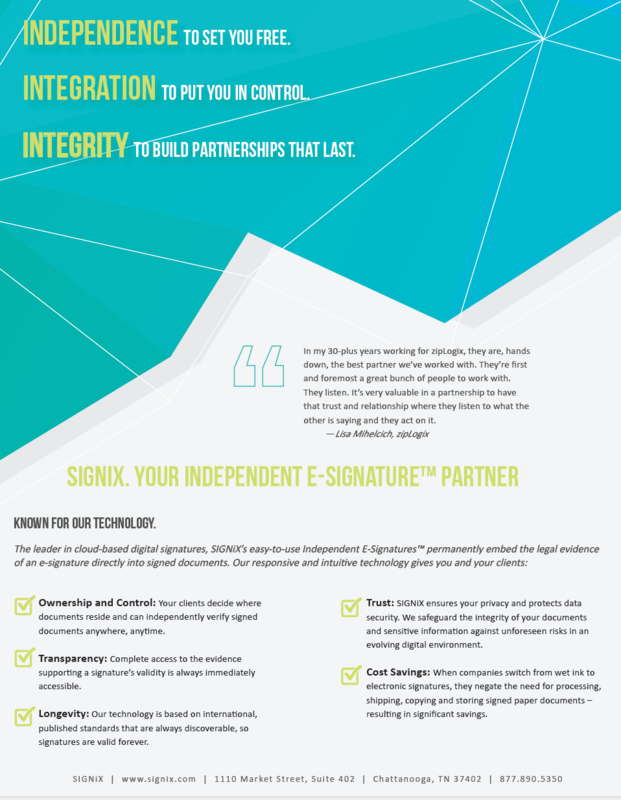 Your Independent E-Signature™ Partner. Known for our technology and distinguished by our collaboration. Partner with SIGNiX today. Independent E-Signatures vs. 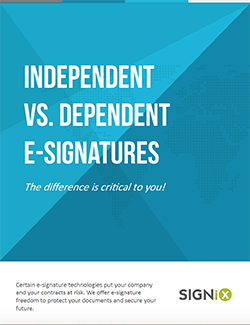 Dependent E-Signatures: The Difference is Critical to You! 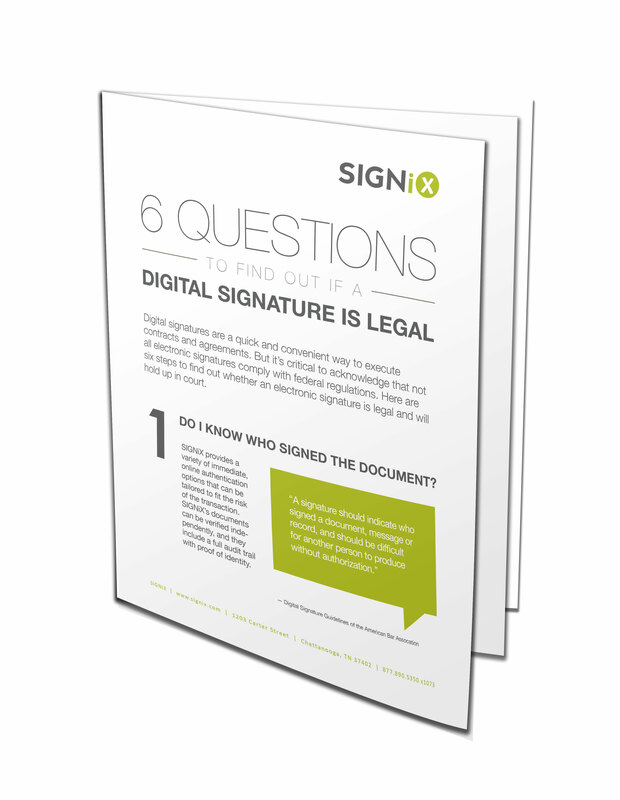 Certain e-signature technologies put your company and your contracts at risk. We offer e-signature freedom to protect your documents and secure your future. Will Your E-Signature Technology be Obsolete in 10 Years? 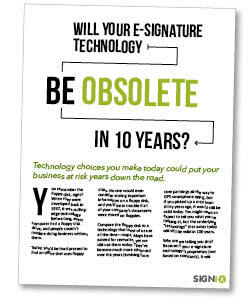 Did you know that some e-signature technologies could be obsolete in as little as 10 years? If you pick the wrong e-signature vendor today, you could be putting your business at risk years into the future. 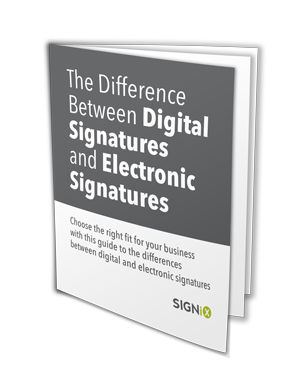 This white paper explains the differences between different types of electronic signatures and helps you decide which type of technology is the best fit for your organization. Thanks to the HITECH Act, there's a growing movement to build a national health infrastructure. 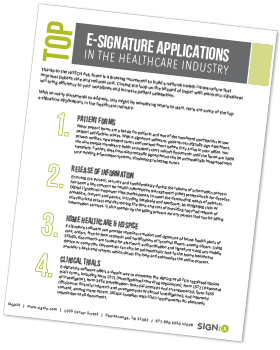 E-signatures can help close the loop for paper processes to help you become more efficient and boost patient satisfaction.